There is no doubt that the HARRY POTTER saga is one of those phenomena that generate an absolute awe or serious dislike. You either waited with bated breath for every volume or you spent time telling everybody how you did not care about these books and how you could not understand what the big fuss was all about. One thing is undeniable; no matter what your preferences, millions upon millions of kids (and adults) read these books, a lot of them loved them and some of them got hooked on reading for life. It has been almost three years since HARRY POTTER AND DEATHY HALLOWS appeared and although the films have been bringing a second wave of interest and increased sales all the fans have been waiting for more news from JK Rowling The rumor mill has been going a few times but last Friday’s announcement was the first real and confirmed thing: “She is writing a new adult novel and she will publish it this year with Little Brown”. There are hardly any other details released but what has been said seems to indicate that she might be writing a crime mystery. Her editor at Little Brown is David Shelly whose forte is crime and mystery books and whose authors include stars such as Dennis Lehane ,Val McDermid , Carl Hiaasen and Mark Billingham . One could also argue that all through her Harry Potter saga the plotting of the numerous mystery themes has been done not only extremely well but also with lots of panache. 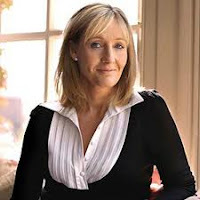 Many would also agree that JKR is a very good writer who honed her craft all through the HARRY POTTER saga. The first volume of Harry Potter is written in short and simple sentences while the last three volumes are a lot more complex in language and structures and they would be envy of many writers. Most obviously, very few of us could ever win an argument that JKR is lacking imagination. Now imagine great author, proven editor and a massive factor of recognition thrown into a pot of new crime book? It will no doubt be one of the most awaited books of the year if not the last decade. The anticipation is already confirmed by Val McDermid who has been quoted as saying “If Mr. David inspires JKR the way he does me, we’re in for something rather tasty”.